(1) A deliverable requires players from two or more fields. For example, the development and implementation of Industry Foundation Classes (IFC) across the construction industry require the joint efforts of Policy players (researchers and policy makers) and Technology players (software developers). (2) Players pertaining to one field generate deliverables classified in another. For example, the Australian Institute of Architects is an ‘industry body’ whose members are Process players (architects) generating Policy deliverables (guidelines and best practices) rather than Process deliverables (building designs and construction details). 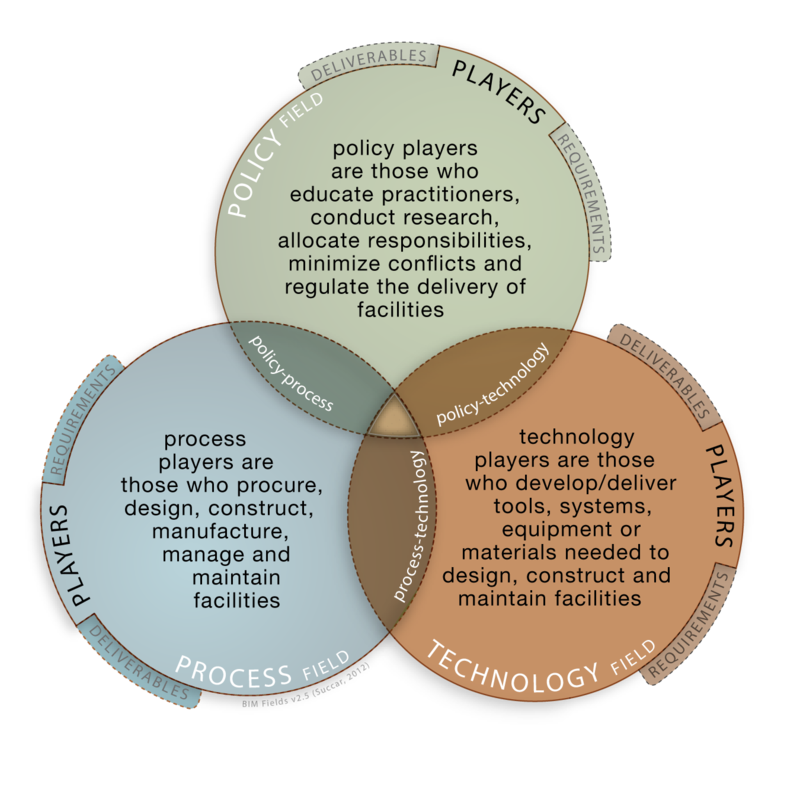 (d) Sample Policy-Process-Technology overlap: BIM Implementation (BIM deliverable), BIM specialists – individuals and groups (BIM players). This conceptual model represents BIM Fields, the first dimension of the Tri-axial Model. 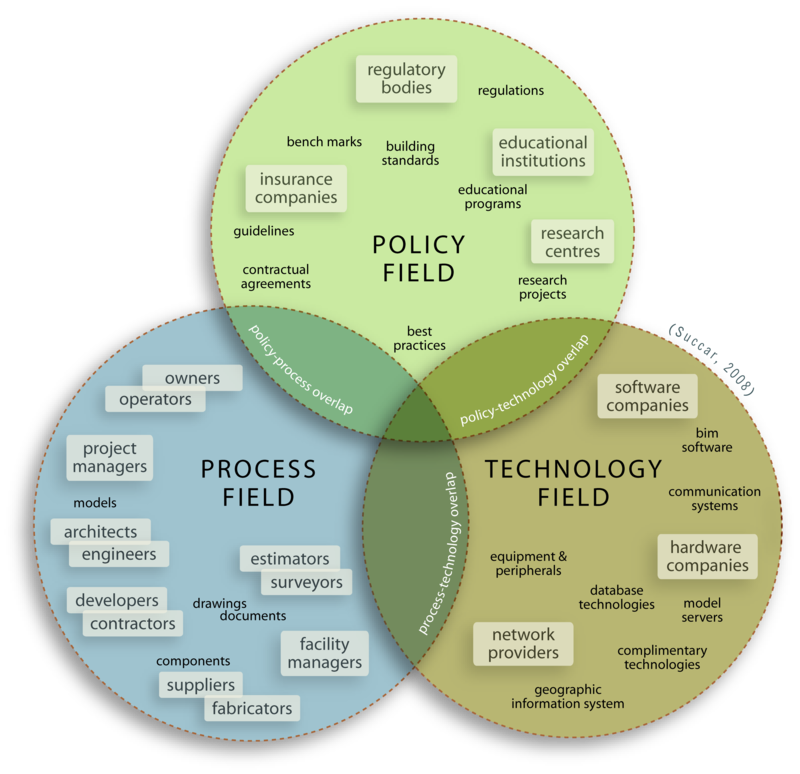 BIM Fields refer to all topics, activities, and actors across the BIM domain. 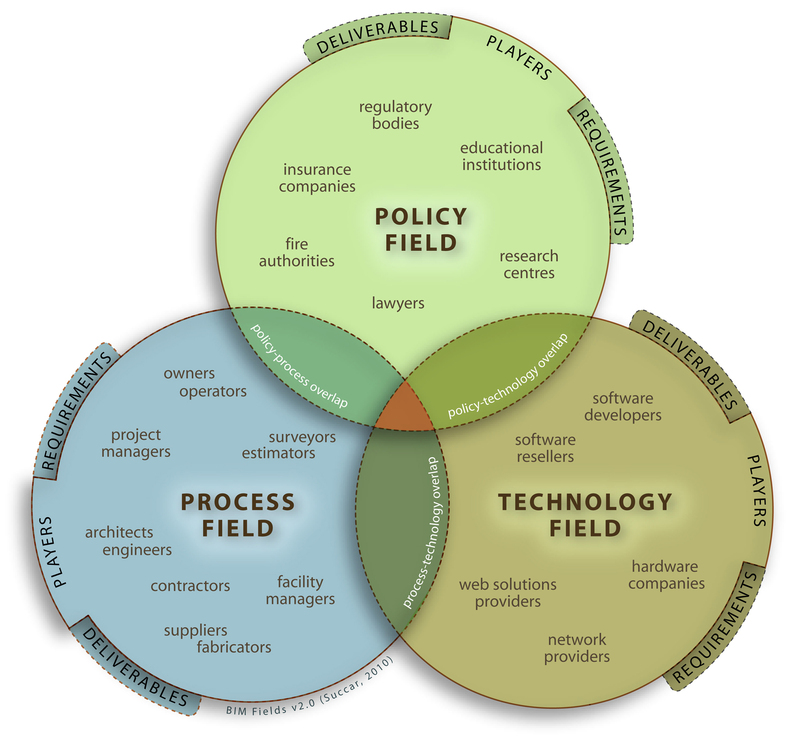 The Venn diagram (three overlapping circles) identifies Field Types (Technology, Process and Policy), Field Components (Players, Deliverables and Requirements), Field interactions and Field overlaps. The model was first referred to as ‘three interlocking knowledge nodes’ in Paper A1 "A Proposed Framework". The term ‘nodes’ was later replaced with ‘fields’ to match the notion of ‘players’.